Wilshire Law Firm has recovered more than $150 million in verdicts and settlements. We have over 70 professionals, ready to share all our resources to help you! Our attorneys are among the top 1% of lawyers, nationwide. They have received prestigious awards and accolades from industry peers and consumers. 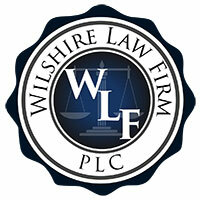 For more than ten years, Wilshire Law Firm has been delivering outstanding client service. We have helped thousands of accident victims win their case because of our legal expertise.